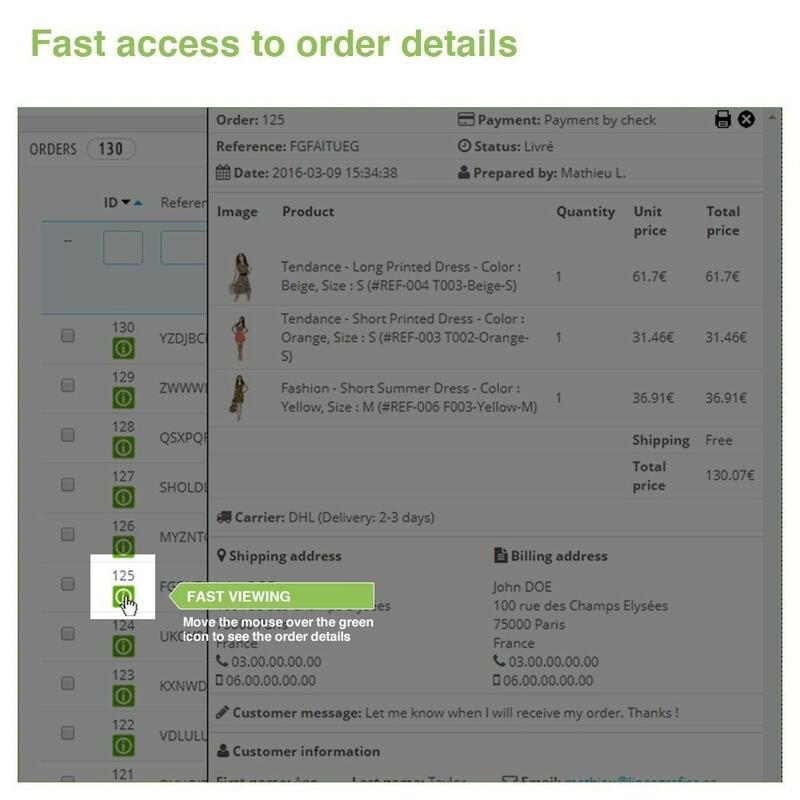 Don't need to open orders anymore! 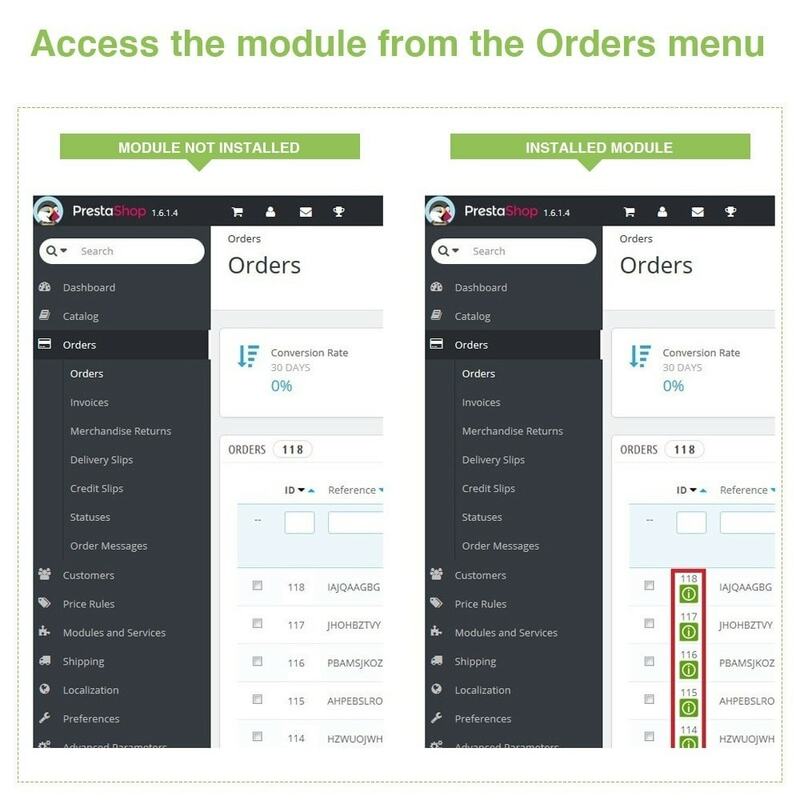 This module adds a green icon in your "Orders" page next to each order. 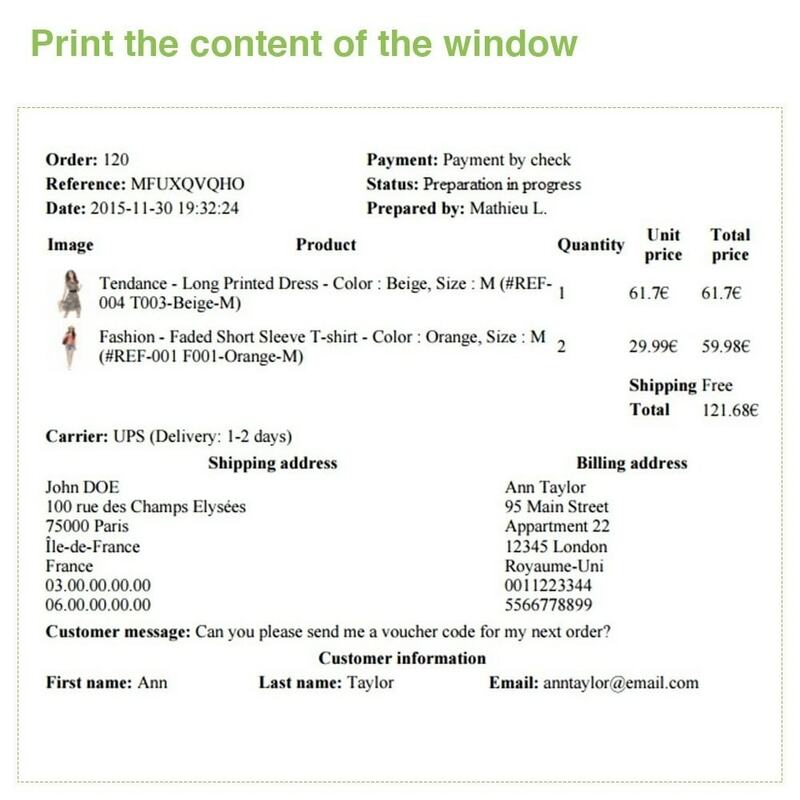 You just need to move your mouse over each icon and a pop-up window will automatically appear with the details of each order (you don't need to click on it, just move your mouse over it!). 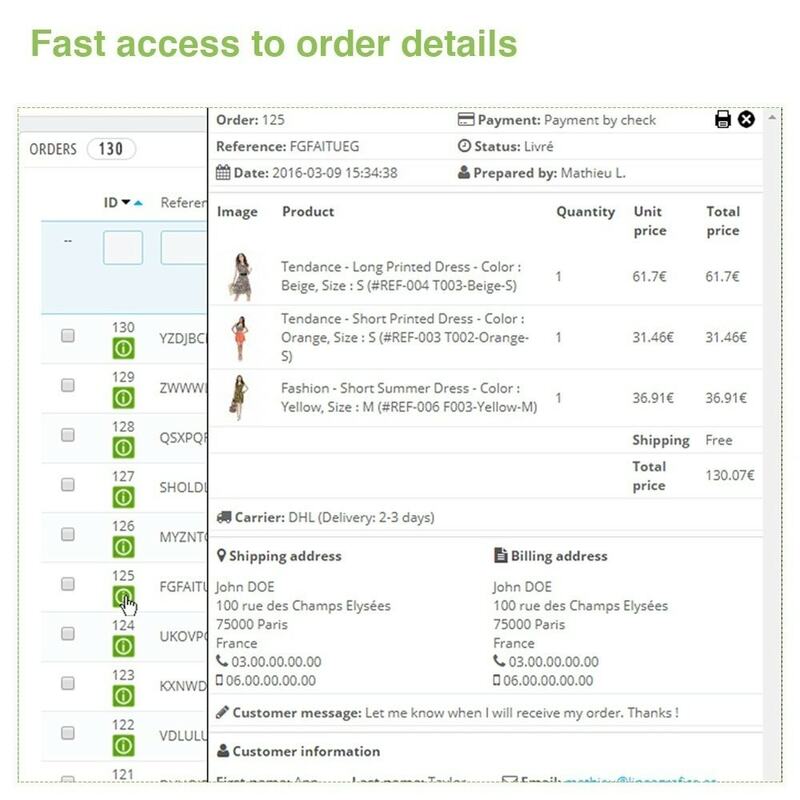 Our module allows you to save a lot of time preparing orders because you no longer need to open each order one by one to know what is inside. 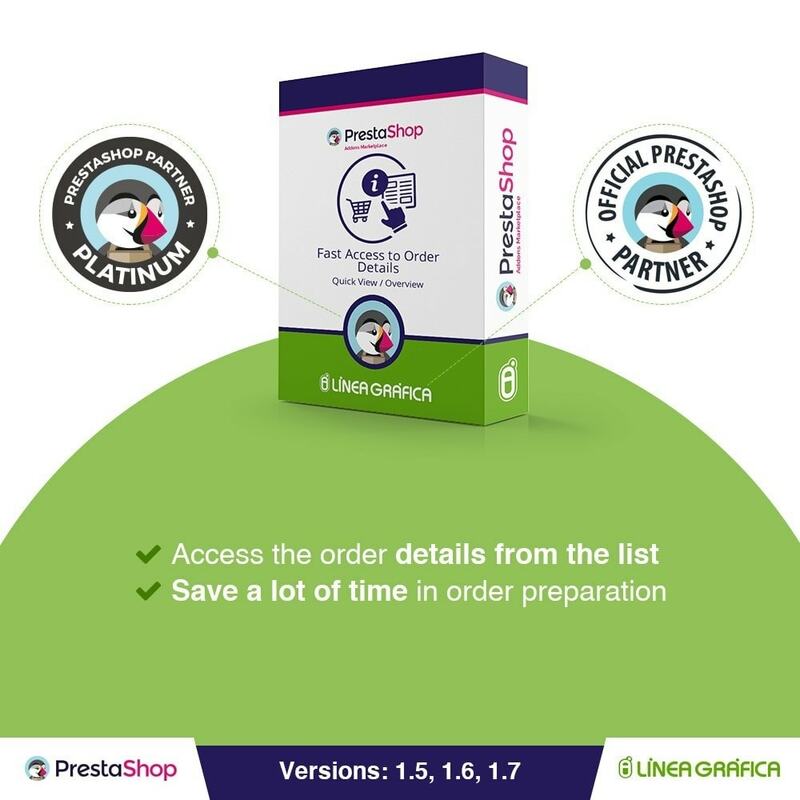 If you have a lot of orders, this module is perfect for you and will make your daily work much easier. 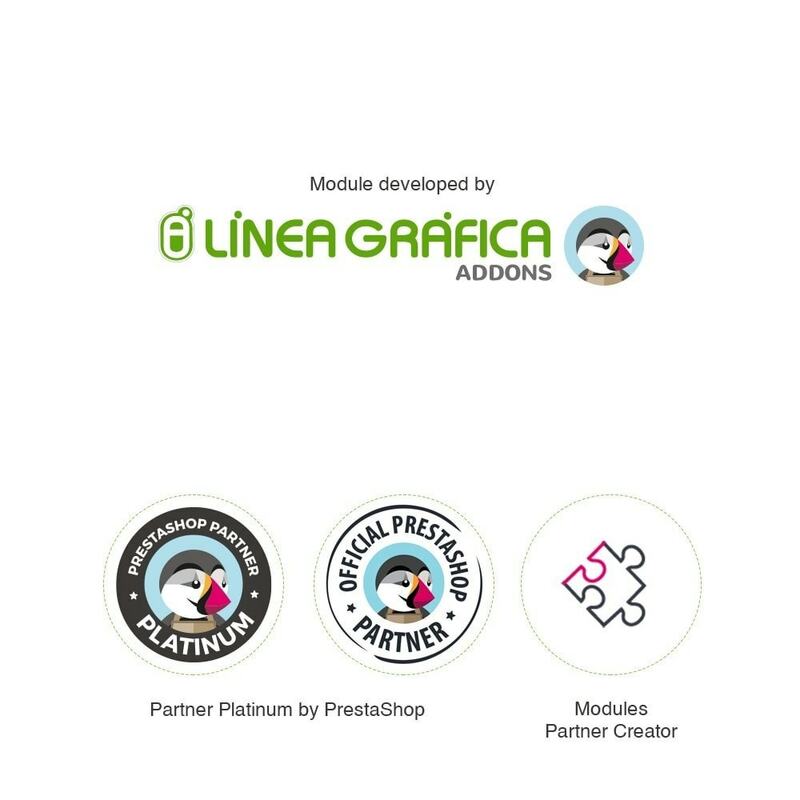 Get this module for your order processors and make their job much easier. 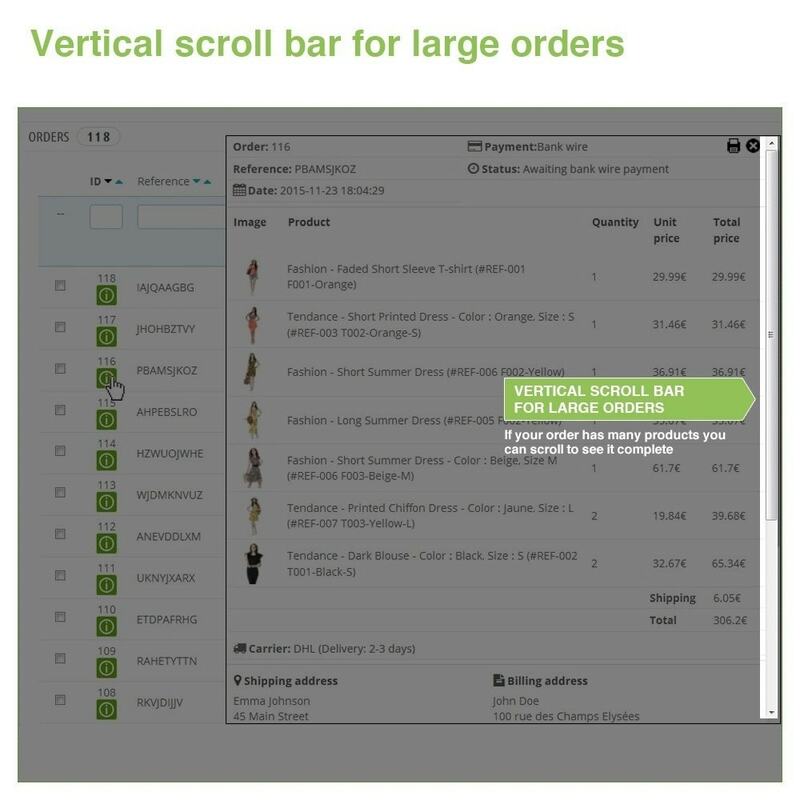 For large orders, the module will add a vertical scroll bar on the right side of the window so that you can access all the order information inside the window. 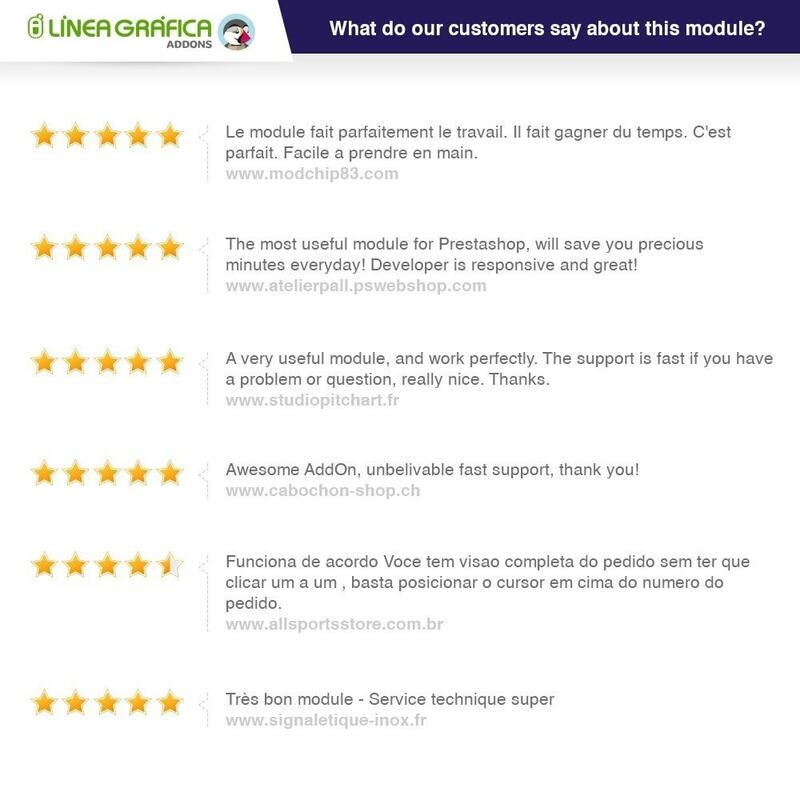 NOTE: The module is not compatible with PrestaShop Cloud. 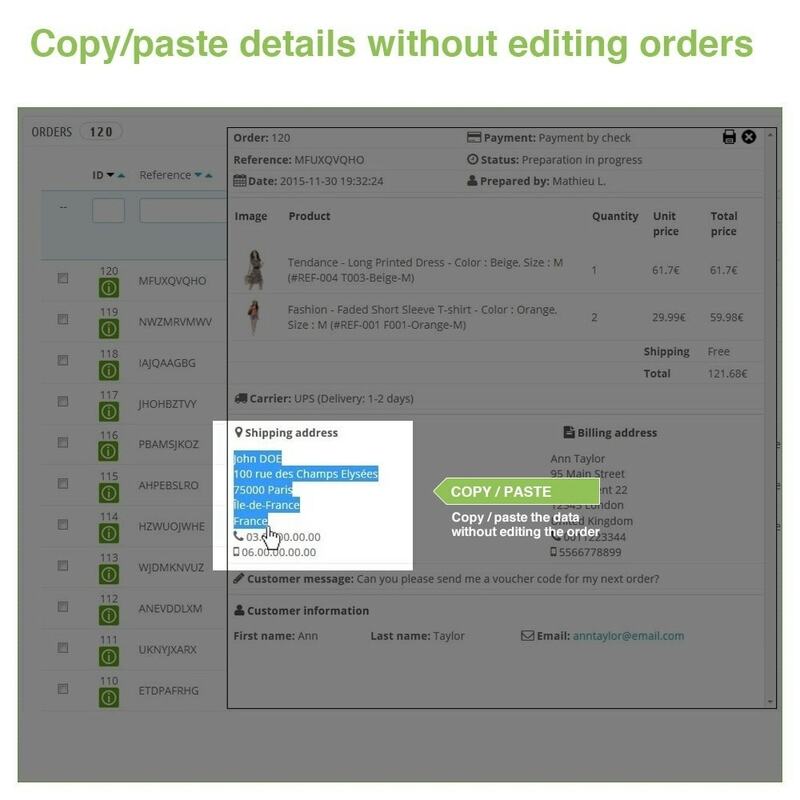 This very useful tool allows you to improve the management of your orders.